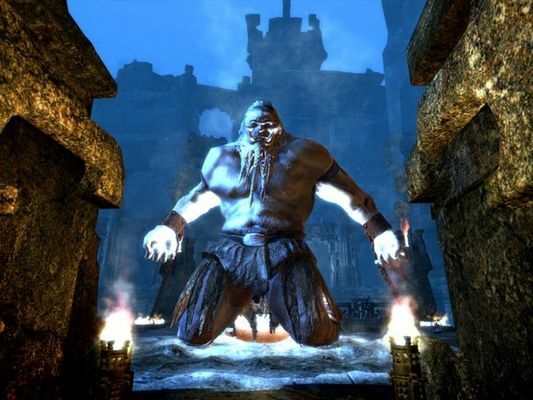 Friday Funcom announced that its popular MMORPG Age of Conan: Hyborian Adventures has officially taken on the free-to-play mantle and is now re-branded as Age of Conan: Unchained. The news follows the launch of Blizzard's pseudo demo World of Warcraft Starter Edition and T3 Entertainments open beta of Hellgate, both of which also launched this week. "After 1.4 million copies sold, having experienced fantastic critical acclaim, and still to this day going strong with a large active player base embarking on thousands of daily adventures, there is no doubt that ‘Age of Conan’ has made a significant impact on the online gaming genre," said Senior Vice President of Sales & Marketing Morten Larssen. "The great potential provided by the hybrid business model, and with the ever growing interest for free-to-play games, bringing ‘Age of Conan’ into this market is undoubtedly the logical next step for the title." Age of Conan: Unchained now offers a "hybrid" business model: players can roam Conan's backyard for free, or go old-school and cough up a monthly subscription fee. As seen with other free-to-play models, an in-game store will be inserted into the realm so that players can purchase exclusive content such as weaponry and mounts. But naturally there will be limitations placed on free accounts so that players get hooked to the point of going full-blown premium. As seen here, several major differences divide the Free and Premium accounts. Those who don't want to take the subscription route will be locked down to four available character classes. They'll also have access to non-premium dungeons, two raids, two characters slots (although there's a max of 18), and only basic mount training. Free players can't partake in sieges, they only have 50-percent of the personal bank space available, they can't level offline and they can't earn veteran points. "For the team working on the game, going free-to-play is great because it opens up this great fantasy world to an even larger audience," said Creative Director and Executive Producer Craig Morrison. "Not only can players now enjoy the content for free, we will continue to add new gameplay features and new content and make improvements to the game. ‘Age of Conan: Unchained’ will offer a fantastic experience for both new customers and players who have already roamed the online world of Hyboria. An engrossing story, brutal combat and savage world is waiting for those who dare explore the lands of Hyboria." To jump in and explore the virtual world of Hyboria now, head here to grab the installer. The actual client is an extra 7.51 GB download.